Defence force families in Australia are falling into poverty because military superannuation funds and pensions are not indexed at a fair rate. Is this how we, as Australians, want to treat those who have risked their lives to protect the freedoms we cherish? Will we face a situation where former soldiers and their families are living in penury during their old age? Surely this violates the solemn covenant between those who volunteer to serve their country, and that country itself. Let us first look at how superannuation funds are affected by compound interest and the effective rate of return. A superannuation fund has $100,000 capital in 1990. At a per annum rate of 2.75%, the nominal average rate of the Consumer Price Index (CPI), over 23 years the fund capital would be $186,630 in 2013. An example of a growth fund, say the Unisuper Growth fund aims to achieve a long term average rate of return of CPI + 5.6% pa. In 2013 the Unisuper Growth fund capital would be $632,506. How does this affect military retiree pensions? The following graph highlights the problem. Military superannuation pensions are currently indexed by the CPI. The CPI was abandoned in 1997 for aged and other welfare pensions because it did not protect pension purchasing power. Aged and other welfare pensions are effectively indexed annually by the largest of three measures including the CPI, the new Pensioner and Beneficiary Living Cost Index (PBLCI) or Male Total Average Weekly Earnings (MTAWE). Aged, welfare and Member of Parliament (MP) pensions rose between 130% and almost 140% between 1989 to 2009. 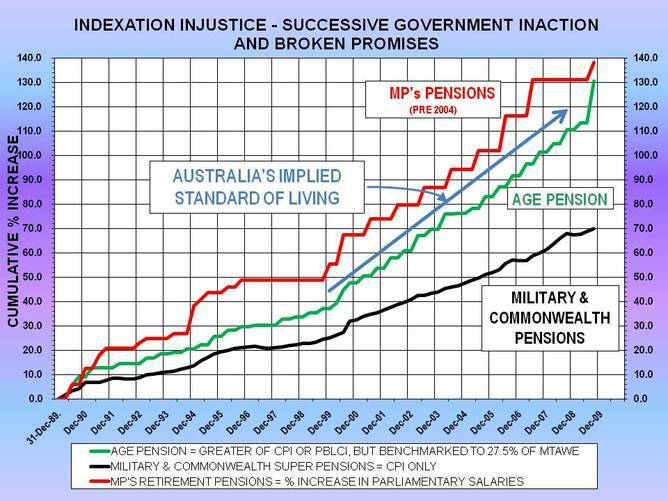 Pre-2004 MP superannuation pensions have been generously indexed to the salaries of today’s MPs. Military superannuation pensions rose 70% between 1989 to 2009. This is not enough to keep up with cost of living increases. The median Defence Force Retirement and Death Benefits Scheme (DFRDB) pension for a couple is under $20,000 and the mean is about $22,000. Both are taxable. The couples aged pension is about $27,500 (single about $18,500) and tax free. Your superannuation fund not living up to your expectations? Simple choice - change funds. Military personnel and retirees cannot change superannuation pension funds. Military superannuation is an unfunded liability, which means the government of the day only funds military retiree pensions. The total unfunded liability military superannuation debt is now more than $40 billion. After years of campaigning by Defence retirees including Brigadier Neil Weekes AM MC (retd) and Air Vice-Marshall Peter Criss AM AFC (retd) a private members bill was put to the Australian Senate in 2010 by Liberal Senator Michael Ronaldson titled the Defence Force Retirement and Death Benefits Amendment (Fair Indexation) Bill 2010. The Australian Senate rejected the Bill, with the Greens siding with Labor. 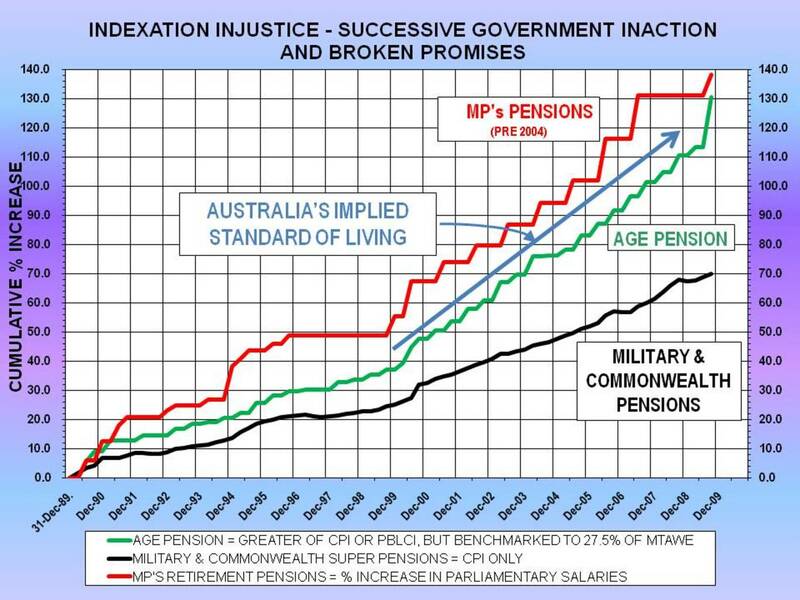 The Defence Force Retirement and Death Benefits Amendment (Fair Indexation) Bill 2010 would have fairly indexed a large proportion of military pensions. The bill included the provision for annual indexing using the largest of the CPI, PBLCI or MTAWE. As far as I am aware, no offsetting saves [funds] have been put forward. The government’s commitment to fiscal responsibility and to returning the budget to surplus by 2012-13 is and must be of paramount concern. This bill is divisive. 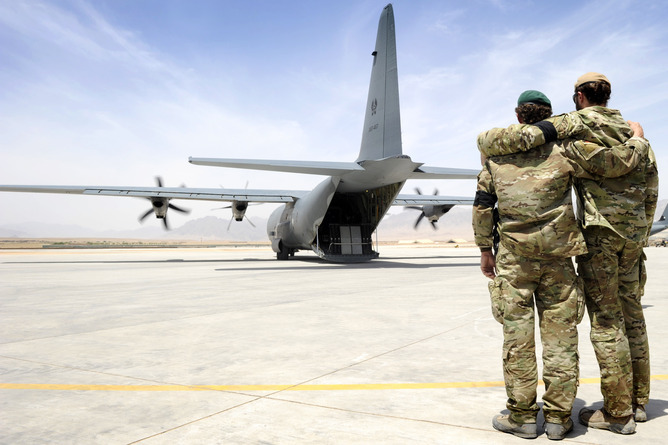 A major problem is that it unfairly applies to only a section of the Defence superannuants and debars over 7,200 current Military Superannuation Benefits Scheme superannuants, as well as the future beneficiaries of the MSBS—and, of course, all other Commonwealth superannuants, including those employed in the Department of Defence. This point was made in many of the submissions to the Senate inquiry, even those in support of the bill. The Australian Veterans and Defence Services Council, for example, noted that the bill was ‘a start’ but would not overcome the financial problems of all veterans. On 23 July 2012 Mr Ross Bain representing Warren Snowden, Minister for Defence Science and Personnel wrote to Ken Marsh of the JustaFairGo campaign. The letter was a restatement of a tired unsustainable false argument that was resoundingly repudiated in a response that Ken Marsh sent to Warren Snowden on 28 July. Warren Snowden apparently did not have the time nor inclination to respond to a letter about a matter of grave consequence for 80,000 defence families. It could be argued that Labor and the Greens are caught in a tough situation. Do they take all steps necessary to return the budget to surplus by 2013 or do they take action to save military families that are now receiving pensions and support that place them in poverty? This problem is not new. Governments since the mid 1970s have been promising to fix the problem so the Liberals and Nationals cannot now claim the high moral ground. This matter should not be decided on party lines, nor should it be determined by the current state of the budget. Immediate action should be taken in the Australian parliament to correct what can only be seen as one of the more shameful episodes in the ongoing poor treatment of the men and women of Australia who volunteer to defend their country. The Australian political parties should be put under the spotlight by all media organisations and forced to declare their position before the next election. A written guarantee must be provided that the party will, within 100 days of taking government at the next election, legislate to fairly index military superannuation and pensions. Australians must put an end to this shameful episode and demand that their politicians act responsibly. Mark Gregory is a member of the Military Superannuation Benefits Scheme.